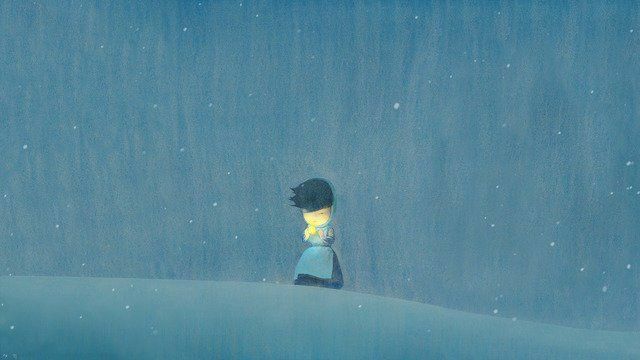 Liu Ye (b. 1964) is one of China's most prominent contemporary painters. He is famous for his bright-hued paintings of childlike figures, the cartoon character Miffy the bunny, and works referencing one of his favourite artists - Piet Mondrian. He has an immediately recognizable style that is described as simple to read yet complex in its levels of meaning and technique. Liu: "What I do is about painting and art history. Chinese aesthetics have a traditional system, history, very high quality and taste, different from Western taste but quite meaningful in our time". And yet, unlike so many of his Chinese contemporaries, Liu is a self-declared unpolitical painter who does not believe that his art is particularly Chinese. Unlike most other artists of his generation, he was exposed to western literature from early childhood. Liu's father was a childrens' book author and the family enjoyed the privilege of having dozens of books at home during the cultural revolution, including illustrated works by Hans Christina Andersen, Tolstoy, and Pushkin. The influence of these books on Liu's work is apparent when considering the child-like naiveté and romantic serenity that characterises his paintings. Liu calls himself a neoclassicist and often alludes to Kranach, Klee, and Vermeer in his work. His iconic style, called by Liu "the simple way", seems at first graphic and naive but reveals itself as complex and highly referential. Liu: "My paintings are structured. I come from Mondrian, his paintings. The basic structure of my paintings is perpendicular. Of course, I’m not an abstract painter, but (...) if you look at Vermeer’s paintings, he isn't quiet, too. The structures of his paintings are the same as Mondrian's, or Mondrian's paintings are similar to his. If you don’t look at the figures, or the story - but only the composition and the abstract elements - it is the same." 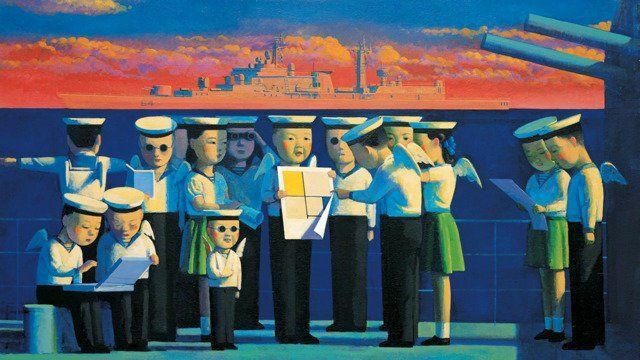 Liu Ye studied at the Central Academy of Fine Arts, Beijing, from 1986-1989 and graduated in mural painting. He finished his education in Berlin, Germany, at the Hochschule der Künste, from 1990-1994. Liu Ye has had numerous exhibitions in China: in 2012 alone, his work was shown at "Art for the Masses", Red Star Gallery, Beijing; In "Time - 2012. Chinese Oil Painting Biennale", The National Art Museum of China, Beijing; and "Faces", Minsheng Art Museum, Shanghai, China. International solo shows include "Leave Me in the Dark", 2009; and "Bamboo Bamboo Broadway", 2012, both at Sperone Westwater, New York. Liu Ye works and lives in Beijing.